Training is always better with a partner. Even if your duo partner lives thousands of miles away, knowing you’re in it together provides the motivation to stick to your training and show up fit and prepared. The duo category is a great opportunity for a newer rider to team up with a more experienced cyclist, spouses to compete together, or a rare opportunity for a parent and son/daughter (18 yrs +) to compete as a team. Your team’s result for each stage is based on the second rider to finish each timed segment, so you have to work together to maximise performance! The best part of incredible adventures is sharing them with someone else. 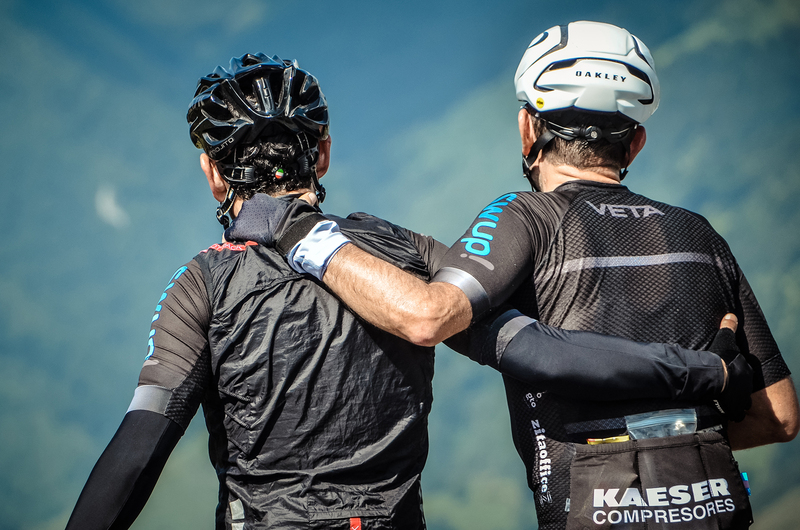 Encouraging your partner on the road, giving and taking a draft, and crossing the finish line together are all experiences you’ll share with your teammate for a lifetime. Team up and conquer three of the most famous climbs in all of Italian cycling over a long weekend. 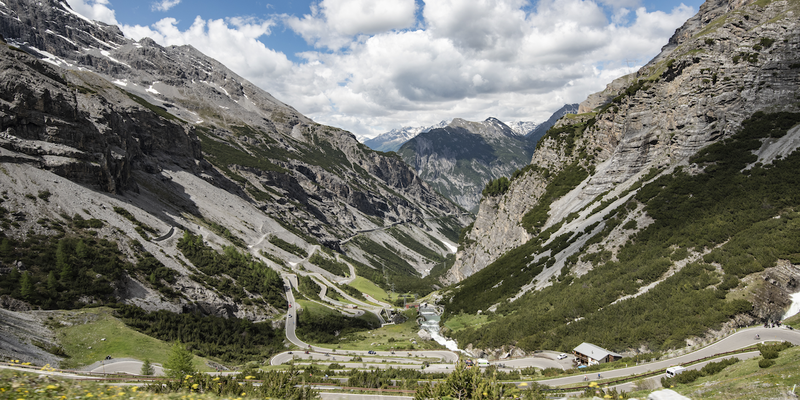 The 2019 course features the Umbrail Pass and Passo dello Stelvio (from Prato all Stelvio) on the first stage, followed by Passo Mortirolo and Passo Gavia on the second day and a time trial up Passo dello Stelvio from Bormio on the final day. Enjoy the charm of Bormio, a thermal-baths town nestled right at the foot of the Passo dello Stelvio. Easily accessible by car from three major European airports (Milan, Zurich, Monaco) as well as by train and public transport, travel to Bormio for more than just a long weekend of cycling.